Home / Anfield / Arsenal / Chelsea / EPL Power Brokers / George Gillett / Glazer family / How Much are Owners Worth / Liverpool / Roman Abramovich / Sheikh Mansour Bin Zayed Al Nahyan / Stan Kroenke / Tom Hicks / EPL Power Brokers: How Much are Owners Worth? EPL Power Brokers: How Much are Owners Worth? It's a hobby that only a select few can afford to try. For most of us, owning a Premier League football club is a forlorn dream. But not this lot. This eclectic bunch come in all shapes and sizes: an heiress, an oil baron, a printing mogul, a one-time adult movie producer, an Egyptian runaway, an online gambling pioneer and many, many more. They hail from the USA, Russia, China, Switzerland, Wales, Iran, Thailand and the Potteries and boast frankly incomprehensible wealth. Sportsmail examines the Premier League power brokers; the men and women whose money makes our football world go round. Stan Kroenke has held the majority shareholding in Arsenal's parent company, Arsenal Holdings, since 2011. The American, who also owns NFL franchise LA Rams, NHL outfit Colorado Avalanche and MLS side Colorado Rapids, is the 55th richest American. Notoriously camera-shy, he added a further £368,000 of Arsenal shares to his portfolio in July, taking him to a two-thirds holding in the club. Usmanov is a stakeholder in Russian iron ore giant Metalloinvest, a communications magnate, an early Facebook investor and a self-made billionaire worth an eye-popping $13.6bn. The 63-year-old donated $13m to the Russian Football Federation in 2015 to help pay off former manager Fabio Capello. Owner: Fordstam Ltd (Roman Abramovich is the ultimate controlling party of Chelsea's holding company). Among the most notorious of Premier League owners, Abramovich's reign at Stamford Bridge began in 2003. An orphan at the age of two, at 49 the Russian is among the world's wealthiest individuals having moved from toy manufacturing into the deep and murky world of oil. He was elected to public office, representing the isolated Siberian area of Chukotka in 1999 and returned for a second term in 2005. 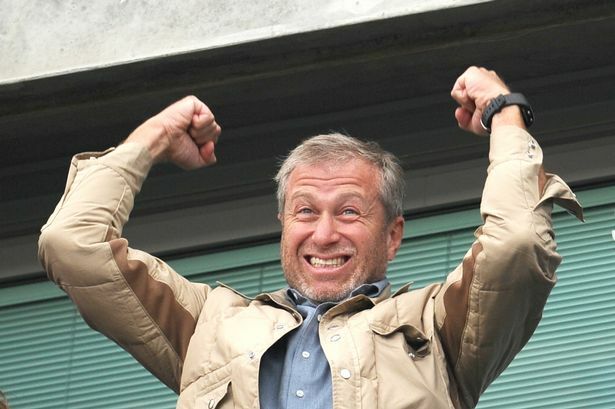 Through holding company Fordstam, Abramovich has given Chelsea interest-free loans topping £1billion over the past 16 years. The American investment group took control of Liverpool from Tom Hicks and George Gillett in 2010 and have steadily reinvigorated Anfield. The owners of the Boston Red Sox, described by Forbes as 'the most sophisticated, synergistic player' in global sports management companies, have recently had to deny they are ready to listen to offers for the club. Henry, worth more than £2bn - bought the Boston Globe newspaper for $70m in 2013, while partner-in-crime Werner - who has a personal wealth of £400m - is a former TV producer and screenwriter, and one-time personal adviser to President Bill Clinton. The deputy prime minister of the UAE has turned City into a footballing behemoth since taking charge at the Etihad Stadium in 2008. At 46 years old, Mansour has a personal wealth of more than £20bn and significant stakes in Virgin Galactic, Daimler and Sky Arabia. Last year, Mansour sold a 13 per cent stake in City to Chinese investors CMC Football Holdings, led by media mogul Ruigang Li, for £265m - the same sum he paid for the entire club eight years ago. Notoriously thrifty to the extent he bought $20 trousers despite being able to call on a fortune of $4.5bn, Malcolm Glazer took charge of United in 2005 despite having been rumoured never to have ventured inside Old Trafford. Having first tested sports brand ownership in 1995, when he bought the Tampa Bay Buccaneers, the Floridian family have never truly won over the rank and file at the Theatre of Dreams. That largely came as a result of the nature of the takeover - forged out of high-interest loans to hedge funds - and incendiary dividend payments to his sons on the club's board.